Lisbeth Zwerger is one of the world's preeminent children's book artists, and one of the most original interpreters of Hans Christian Andersen's classic fairytales. This handsome collection, originally published in 1991 now returns in celebration of Hans Christian Andersen's 200th birthday. 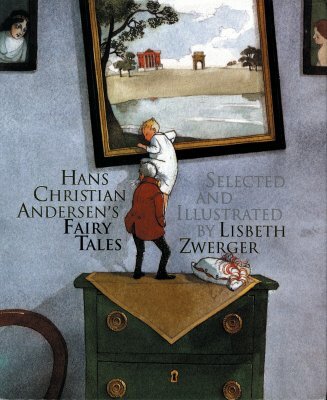 It includes eleven favorite stories, such as "The Princess and the Pea" and "The Emperor's New Clothes," as well as lesser-known but equally wonderful stories, all featuring Ms. Zwerger's distinctively elegant, witty illustrations. This superb anthology is bound to become a treasured part of every child's library.